Repair critically dry, cracked, or callused skin with BCL’s Critical Repair Cream, now available in three different fragrances. 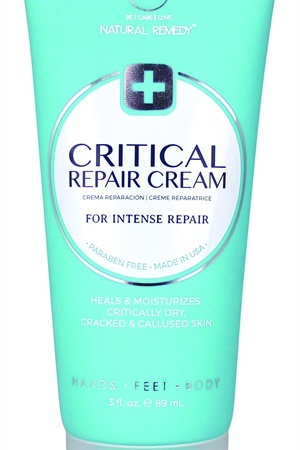 BCL’s Critical Repair Cream instantly delivers intense moisture without the greasy feel. It relieves dry, itchy skin while nourishing and repairing the skin’s moisture barrier and healing and protecting against cracked skin.